2 What Is Under Armour Cold Gear? 3 What Is a Thermal Shirt? People buy clothes with extra insulation for a wide variety of reasons, whether it's simply because of cold surroundings or because they plan on spending inordinate amounts of time in cold climates. 3M makes products with Thinsulate insulation, and Polartec manufactures insulated clothing for these purposes. Polartec began as Malden Mills Industries, Inc., in 1906 in Malden, Massachusetts. It wasn't until 2007 that the company changed its name to Polartec LLC. 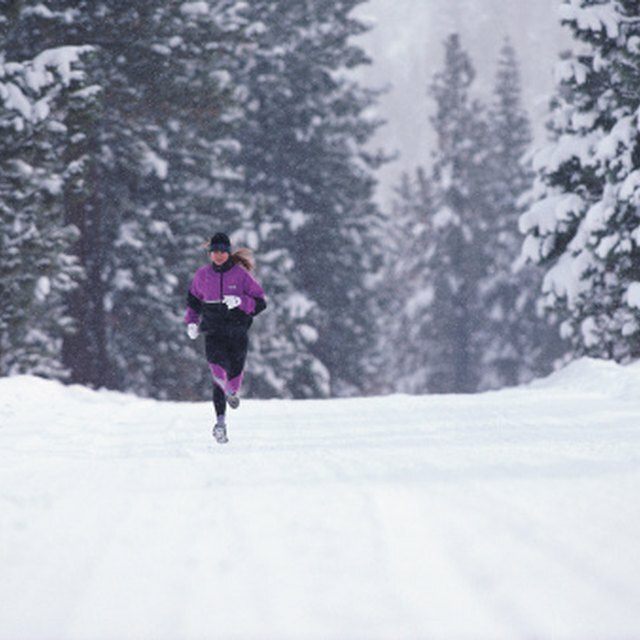 The Massachusetts-based company introduced its first branded synthetic apparel fabric in 1979, called Polarfleece. 3M was founded in 1902 in Two Harbors, Minnesota. The company began experimenting with microfibers in the 1960s but did not introduce Thinsulate Insulation until the 1970s. Thinsulate footwear products appeared in the 1980s, and new versions of the insulation, such as Liteloft and Ultra, were introduced in the 1990s. 3M Thinsulate insulation has been used by athletes in the Olympics. Polartec's classic insulation is made of 100 percent polyester velour that serves to keep in air and retain heat. Polartec's insulation is machine washable, highly breathable and quick drying. The company claims that the "velour surface increases air circulation," which helps keep the clothing warm but not stifling. 3M's Thinsulate insulation works the same way, but the material is moisture resistant as well. 3M claims that its insulation works better than other brands because the fibers are finer, keeping in more air and reflecting more of the body's heat. Polartec manufactures clothing items such as pants, sweaters and gloves. Some of Polartec's products are simply made of fleece products, but others, like the Polartec Pure Wool products, are made from wool from Merino sheep. Polartec also manufactures other technologies that complement its products, such as odor- and flame-resistant fabric, as well as sun protection items. 3M's Thinsulate line includes footwear, bedding, hats, globes, sweaters, shirts, jackets and pants. 3M also manufactures thermal insoles for shoes. Polartec manufactures its insulation not only for everyday clothing use but also workwear, military and home purposes. The workwear and military products are meant to product workers in dangerous situations, while home products mostly include fleece blankets. 3M's Thinsulate insulation is made for hunters, hikers, skiiers, fishers and everyday use. Blankets and bedding are manufactured for home use. Certain types of Thinsulate material are made for different circumstances. For example, Thinsulate Flex and Liteloft are made for sportswear and headwear, while the Thinsulate Supreme is made for footwear and odor control. 3M: What Is 3M Thinsulate Insulation? What Is the Difference Between Lycra and Spandex?